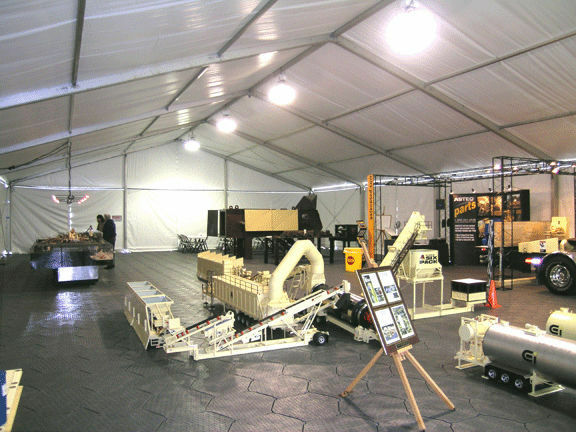 HexaDeck features reinforced heavy weight construction suitable for large vehicles and equipment. 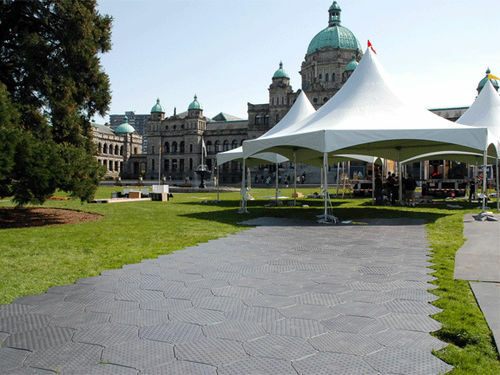 Once connected, the unique overlay/underlay system provides tremendous strength as adjacent tiles support each other on six sides. Unlike square modules, HexaDeck’s hexagonal design avoids the structural weakness associated with a 4 way joining point. This unique design allows HexaDeck flooring to support extraordinary weight and moving loads. From trucks and forklifts to from cranes and utility vehicles, Hexadeck will easily handle heavy payloads. 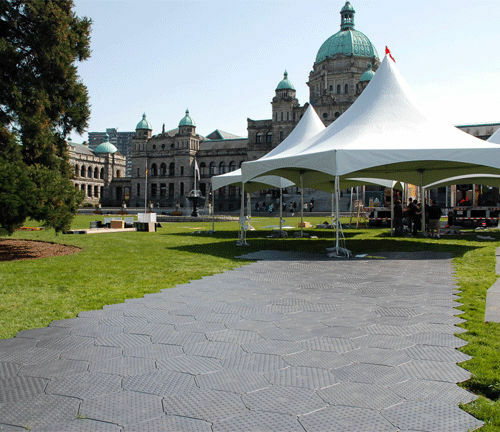 As such, it is ideally suited for tent and special event flooring, temporary access roadways and synthetic or natural turf protection. Each super-durable tile is self contained and ready for easy installation by unskilled personnel. Because there are no frustrating clips or other moving parts, there's nothing to lose, break or damage. 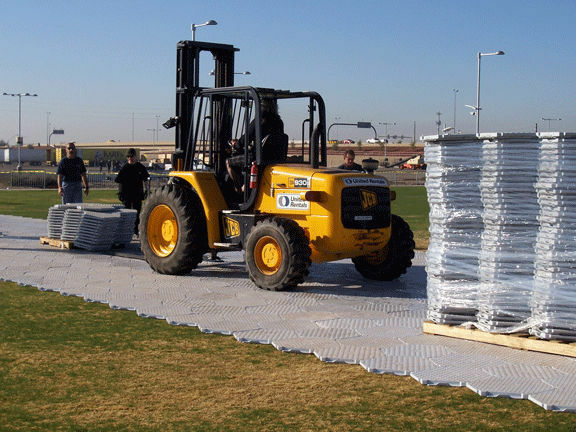 HexaDeck (HEXD) is the perfect solution for portable flooring, temporary roadways, equipment access, and ground protection.